EEEEEEEEEEEEEEEEEEEEE!!!!!!! 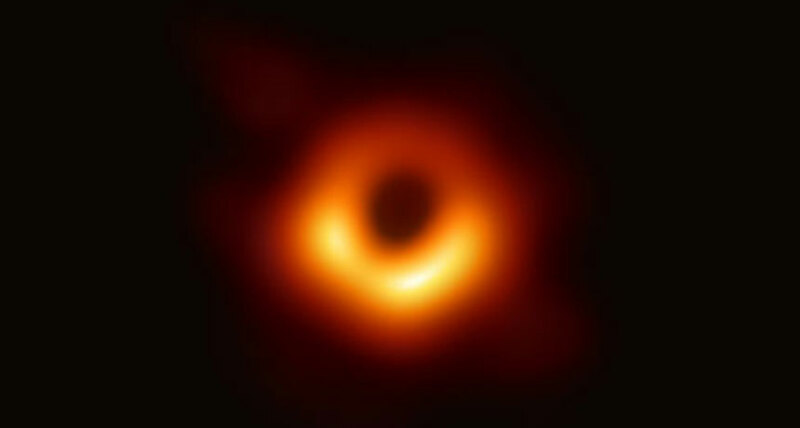 We finally got a picture of a black hole!!! IT'S HERE!! After almost a century of waiting after Einstein's Theory of Relativity, we have rock-solid PROOF (again)! Wooooohoooo! As a big science geek I can’t hide how excited I am about this. Do you know how big this black hole is? A picture from further out is even better!!!!! Edit: @TheGirlWhoLookedUp, it is 40 billion kilometers across, or 3 million times the size of earth. That tiny pinprick of darkness is the most unsettling thing I've ever seen, wow. Super cool. You can see the light getting sucked into it!!!! It’s amazing and beautiful and awesome and AHHHHHHHHHH!!!! I feel really small all of a sudden. This is really cool. I just saw that they likely will be unable to get more pictures until at least 2020. 2020 is apparently the golden year. Stormlight 4 and black hole pictures. Woah. Coming from someone who knows next to nothing about black holes, (except something about spaghetti or the likes) this is pretty cool! Edit: That link is to the galaxy. The black hole part is in the Components section. 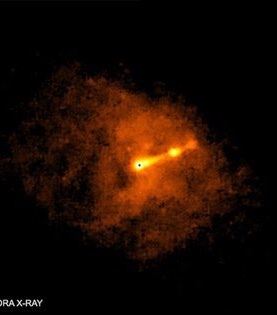 It is designated M87*. Fun fact about this discovery: it was mostly due to a pair of graduate students that the image was able to be captured. One's name is Katie Bouman, and she needed 8 racks of hard drives, each with 8 drives in them to store all the data from the image, and she was mostly in charge of the data managing and putting together the image itself. The other was Andrew Chael, who helped calibrate the sensors and set the data collection sequence up, along with a rough structure. 5 petabytes of information went into this photo. Insane. Oh, look, Sauron finally decided to show back up. The sometimes called adorable and often times uncomfortably odd. This is beautiful... It's like we've gotten a glimpse of the future end of the universe- a blackness slowly spreading from the center as mass grows too little to support itself in an ever-expanding universe. Or like a picture of a flower- a beautiful, unique snapshot of just how amazing the universe can be. I think that might actually be the sound you make as you cross the event horizon. You can see how the E's get closer together as time dilates. Need more testing to confirm.